What do highly effective teachers have in common? If asked to recall the teacher that had the most impact on your academic development, you would likely be able to quickly name someone who made you feel excited about learning. You probably remember feeling that he or she cared for you and your success as a student. If asked what made that particular teacher so successful, the answer may not come as readily. It was probably not their intellect or expertise in their subject matter — instead, it was likely their intangible qualities and a fierce dedication to their students that elevated them into the realm of teaching legends. If you too want to learn how to take your teaching abilities from meets expectations to exceeds expectations, then start by adopting these top five habits of highly effective teachers. Use a Creative Teaching Style. Your district or state likely pre-establishes the majority of your course curriculum. The key to extraordinary, then, is how you create strong lesson plans that address those requirements. The most effective teachers make an impact on their students by taking a hands-on, engaging learning approach, rather than solely lecturing from lessons plans or reading textbook content. By making the learning process fun and interactive, you will make a stronger impact on your student’s ability to consume and comprehend learning material. Take Your Students’ Successes Personally. The most successful teachers care deeply about their students’ success and put in the time and effort to enable each student to reach his or her full potential. For the most effective teachers, it is not just about teaching assignments, assessing performance, and turning in grades. They find joy in seeing a student who has struggled with a topic finally have that “ah-ha!” moment because they have worked diligently to help the student get there. Take time every day to reflect on why you chose a career in education, and ask yourself how you can take a more engaged role in your students’ achievements. Establish Clear Learning Objectives. In education, your goals serve as a roadmap for you and your students. 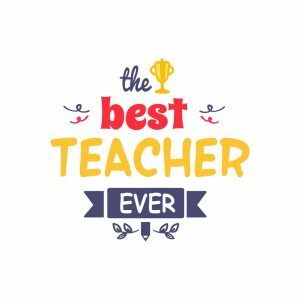 The most effective teachers push their students to succeed and remain motivated on personal achievements and achievable objectives. They go into each school year with clear objectives for areas of focus and action plans for positive progress. Foster a Positive Learning Environment and a Supportive Culture. Students learn best in an environment where they feel supported and where they’re able to have fun. The most effective teachers foster a collaborative culture where students are not afraid to make a mistake, ask a question, or re-do an assignment. By creating a climate of positivity, students will remain engaged and motivated to succeed, and they will be comfortable asking for help when they need it. When You Fall, Get Back Up! We learn more from failing then by getting everything right 100% of the time! Throughout your career, you will be challenged by disruptive students, questioning parents, changes to the curriculum, and other difficulties. The most successful teachers do not let such experience turn to self-doubt or cause them to lose their passion for teaching. Instead, they learn from each challenge and apply what they have learned to future experiences for future success. By adopting the practices that define highly effective teachers, you too can elevate the quality of your instruction, which will elevate the success of your students. When everyone succeeds, everyone wins, and you become the teacher that adults remember as someone who helped to define their adolescence. What could be more satisfying than that?